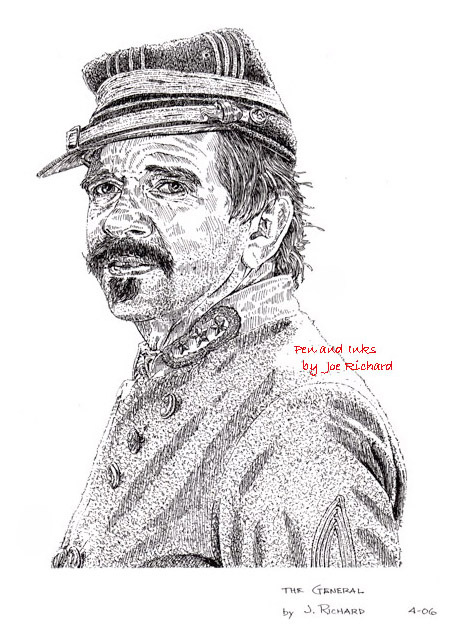 "the General" is a study in pen and ink of a living historian reenacting a civil war battle in the town of DeRidder, Louisiana at the beginning of the reenactment season. 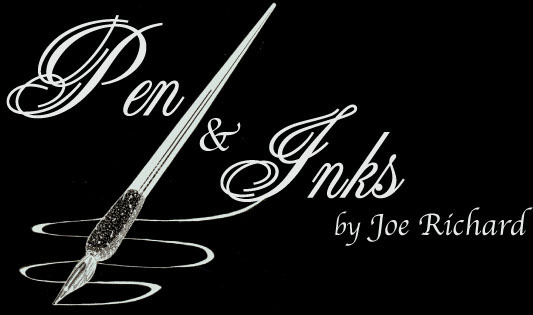 "the General" utilized technique in line art and stippling to create a dimensional effect to the work. The work depicted was done from a photograph taken at the living history event. 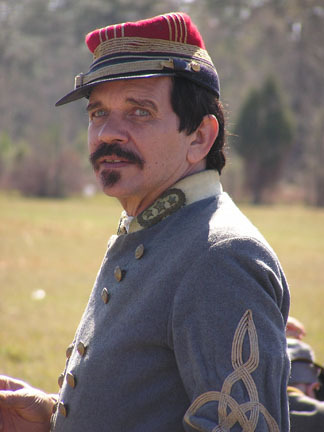 The photo used in completion of "the General" artwork. The photo was taken by John I. Reed and is Copyrighted by him.